The best bit of Christmas for me is the over indulgence of good food and a plentiful supply of various drinks. Today I am featuring some of the items we love that will hopefully tantalise your tastebuds and ensure you have a memorable Christmas. These items would make lovely gifts to share with loved ones. If you are looking to try something new then Langley's Old Tom Gin has sweet, spiced undertones which makes it a must-have for the festive period. The story of Old Tom is intrinsically linked with that of England as gin consumption in 17th century England was beginning to have a massive impact on the social fabric of the city and government efforts to stem the flow of gin forced its production and sale underground. It was a style which stopped been produced in 1970s but has recently seen a revival. Langley's brown bottle is in keeping with the gin's story and it is available at Ocado - £25. British Cassis Blackcurrant Liquer is made in Herefordshire by Jo Hilditch, a fourth-generation blackcurrant farmer, its style is totally different than traditional creme de cassis - it has rich ripe fruity aromas and is less sweet. 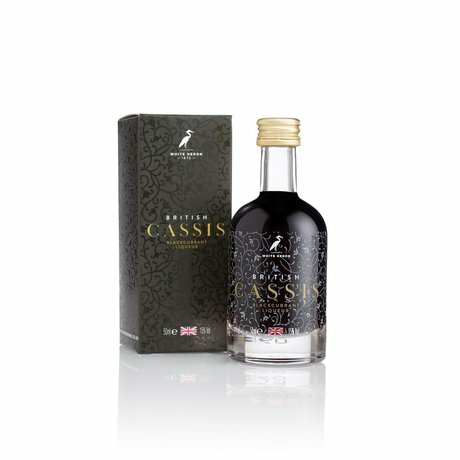 It is also super versatile and great in cocktails and with sparkling wine as a kir royal. Christmas would not be complete without a bottle in your drinks cabinet. It is available at Waitrose & Majestic nationwide RRP £19.99. 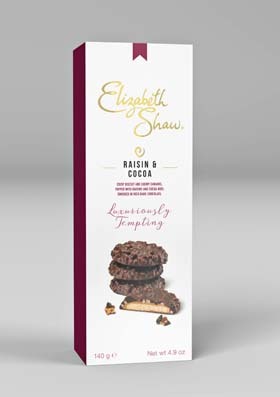 I would like to tell you about a couple of our favourite treats for Christmas from Elizabeth Shaw. Raisin & Cocoa biscuits are devine. Crisp biscuit, covered in chewy caramel and topped with raisins and crunchy decadent cocoa nibs and smothered in rich dark chocolate are sure to satisfy any tastebuds. 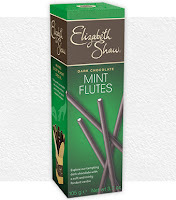 No Christmas would be perfect without a box (or two) of their elegant Mint Flutes. A dark chocolate case surrounds a delicious soft mint fondant and they look wonderful in a glass for sharing after a meal. Produced in Kent is an organisation supporting awareness of food and drink from Kent. It aims to highlight the work of the organisation through its incredible membership which include producers, growers, retail, hospitality, tourism and artisan craft businesses. I love to buy artisan foods as gifts and they have some really fabulous suppliers. Korko African Ginger & Lemon and Pineapple drink are delicious hot or cold. Kentish condiments such as Caramelised Shallot and Cider Vinegar, Garden Herb and Honey and Mustard are the perfect compliment to your salads. Coffee from Real Deal Roasters is available in large variety of beans and ground, my favourite has to be the Old Brown. Clearly Juice from Biddenden is the finest apple juice I have tasted and so refreshing. Whilst Shepherd Neame & Co have their own Christmas Ale, ideal for Santa's Christmas Eve tipple. In fact there is something for everyone, I'm sure you will find a favourite. Just right for Christmas is the Sparkling Pinot Grigio from Barefoot Bubbly has fresh flavours of citrus with the aroma of sweet orange blossom. 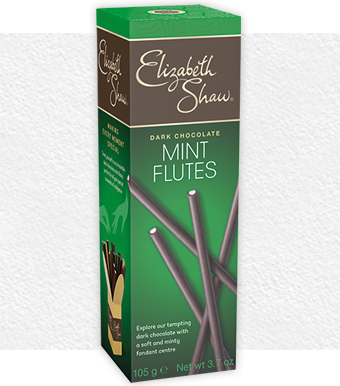 The perfect accompaniment to fish and white pasta or even to be savoured on it's own. It is available from leading supermarkets. If your partner likes a tipple then why not gift them a monthly subscription to the Summerton Club. Daniel the mastermind behind the Summerton Club sources unique bottles of whisky, rum and brandy to bring a new experience to its members. He is also working with some master distillers to bring out member bottles not available in the UK. We were sent this rather delicious well aged Greek Brandy called Dareos Aged Tsipouro, perfectly smooth and perfect for drinking on its own. I have a great discount code for you Wishful5 which will enable my readers to get £5 off the subscription fee. You can opt for a bi-monthly delivery or 3 monthly. A perfect gift for the connoisseur. 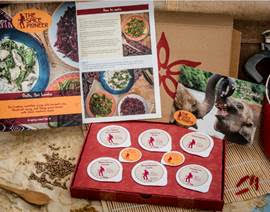 The Spice Pioneer monthly subscription meal kits make the perfect present for foodies this Christmas. Each month through your letter box you receive a pack containing the finest spices and more, easy to follow instructions, a shopping list and even a music playlist, to enable you to make authentic dishes from around the world and create an evening to remember. With gift packages starting from £27 for a three-month subscription, The Spice Pioneer boxes can be ordered online to any UK address, making it effortless to send gifts to long distance friends and family. Or why not treat yourself and enjoy a culinary journey with your friends and family. Have you seen anything you fancy or would enjoy, I would love you to share them with me.